Inspired by the hard working and highly skilled craftsman that shaped the buildings we live and work in today. Embodied in a nostalgic time era at the turn of the 20th century, the world was a much simpler place. From stained glass and woodcarvers, to metal fabricators, these men and women were true artists that honed their craft over years of painstaking handmade detailing. From the busiest urban workshops to the tranquil small towns of the rural Midwest, these artisans could be found in every profession. 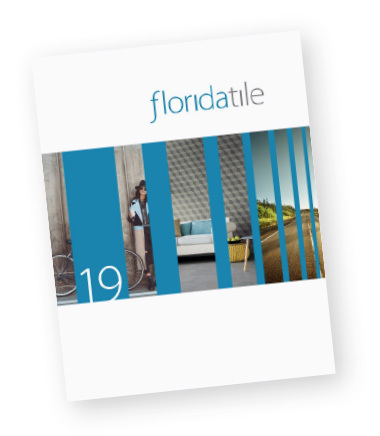 This line designed by Florida Tile, embodies these same qualities of contemporary design, extraordinary craftsmanship and the American spirit those people and of that time period.Designed in a classic Marble style, the CraftsmanDP line features a smooth flat surface that is ideal for residential and light commercial applications. The graphic development is done using Florida Tile’s proprietary DP-Digital Porcelain technology. With up to 20 different graphics per color in the 12x12 alone, this line features the realistic shade variation of the most modern decorating lines available. With the exception of select trim and decorative pieces, this product line is Made in the USA of 40% pre-consumer recycled content, is GREENGUARD® and Porcelain Tile Certified, and meets the DCOF AcuTest® requirements to be installed in wet areas.